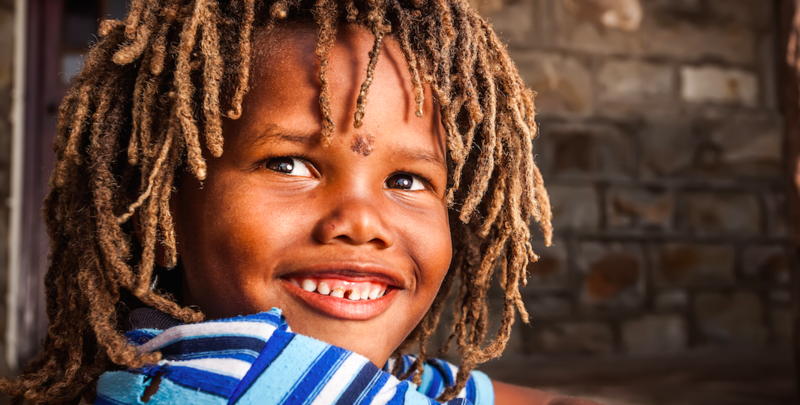 The history of dreadlocks traces back to ancient cultures in Africa, India, and Crete. It has many roots; it’s too hard to determine their actual origins. However, this is a brief history of dreadlocks and famous people who had them. One story tells that dreadlocks originated in India with the deity Shiva and his devotees who are dreadlocked. It is more likely that this is the spirituality origin of dreadlocks in Indian culture. It is in contradiction to the story told by those who claim that Egypt is the real birthplace of dreadlocks. That claim is actually backed by archeological evidence in the form of Egyptian mummies sporting intact dreadlocks. The monks of Ethiopian Orthodox Tewahedo Church wore them. The Nazarites of Judaism wore them. The Sadhus of Hinduism wore them. The Dervishes of Islam wore them. African tribal cultures wore them. Even more historical accounts stated that thousands of early Christians wore dreadlocks. Notably, Sampson who the legend said he had seven locks of hair which granted him his superhuman strength. No one culture or civilization “own” dreadlocks. The notion of dreadlocks giving the wearer superhuman powers is not unique to the Bible’s story. Many cultures held that life energy (life force, Ki, prana, etc.) leaves the body through the top of the head. Therefore, if you tie your hair, it will stop the energy leaking, making you stronger. Potentially, giving you supernatural mental and physical powers. Until this day, many shamans (witch doctors) from various cultures around the world still wear dreadlocks. Regular citizens wear them too. To them, dreadlock is a symbol of recognizing and showing that abstinence is more important than vanity. Our physical appearance doesn’t matter. In the same vein, those who believe in that symbology would often shave all their hair completely. Others hold that dreadlocks are the natural state of human hair. As, as they see, human hair will dread when it’s left to its own devices. At the dawn of the Industrial Revolution, Rastafarianism began to reach the Black Jamaicans. The beliefs of Rastafarianism is based on three primary sources: the Old Testament, African and Hindu tribal religions. The followers of ‘Rastafarianism’ called themselves “dreads,” proclaiming their ‘dread’ and fear of God. Following the footsteps of the Jew and Hindu priests whom they tried to emulate. They started to wear their hair in knotted styles, and that’s how the word “dreadlocks” came into being. In the 1930’s, Rastafarianism began to attract more interest when Haile Selassie I was enthroned as the Emperor of Ethiopia. Later, many of his followers swore not to cut their hair until his return from exile. The Rasta movement defended smoking marijuana as they saw it promote clear-thinking. Thus, dreadlocks became associated with marijuana at some point. Many deadheads, mainly Caucasians, are pro-marijuana. Still, a few sects of Rastafarianism are against drug abuse. They view any mind-altering substance as “impure” with an emphasis on cleanliness. They also forbid red meat and drinking alcohol. Those purists hold that Bob Marley and his pro-marijuana attitude has harmed Rastafarianism’s reputation. Dreadlocks became integrated to many musical styles, such as Metal and Hip Hop. Today, dread heads chose to wear their hair in dreads for a multitude of reasons. Some of them wear dreadlocks for spiritual reasons as described earlier. Some of them identify as Rastas. Some because they simply love the look! Remember, having a reason for wearing dreadlocks is very important. So that one day when somebody asks you, “yes, but why you wear them?” You can give them a straight answer and explain what your dreads mean to you. Post written by Seymour Willis, who is also a frequent contributor to Credit Glory in Tampa. A prominent member of the Fugees, Lauryn Hill is not ashamed of her dreadlocks. She made a widely successful album called The Miseducation of Lauryn Hill, which is her claim to fame, somewhat. Calloway is a famous rapper and MTV reporter; his dreadlocks are the most beautiful. No wonder, since he spent many years trying to perfect the look. He nailed it. Lil Wayne has A LOT of hair. He is one of the top rappers with many awards and children. He also is a fine dread head. His dreads took many forms and styles, but they are always present. Chapman, a singer and songwriter, whose Car is Fast and want One Reason happens to be another proud dread head. She was well known for her dreadlocks during the late 1980’s and 1990’s. T-Pain took his dreads seriously. But, after his uncle visited him in a dream and told him he should let go. T-pain woke up and cut his dreads and even made video of it. After that his depression was cured. Goldberg is always seen with her dreadlocks; she is almost known for them. Her dreadlocks are uniquely her just as her humor and acting talent. At the 2015 Academy Awards, Zendaya showed off her singular dreadlocks. However, Giuliana Rancic, chief officer at E! Fashion Police Department wasn’t impressed. Dare to embrace the locks! Lenny Kravitz hit it big right after doing his hair in dreadlocks. Whether it’s the magic of dreadlocks or a strike of luck, it’s something to ponder. The star of Game of Thrones as Khal Drogo and Stargate Atlantis as Ronon Dex also wore them. He is going to be the hero of the anticipated movie Aquaman.